BJP will be making government under leadership of Narendra Modi on 26th May, 2014. Challenges in front of new government are Corruption, Inflation, Black money, Development and providing conducive environment for investment. Clear mandate in favor of Narendra Modi shows that people are expecting lot from Modi Sarkar. If we talk about taxes BJP election manifesto clearly says that new government will rationalize and simplify the tax regime. 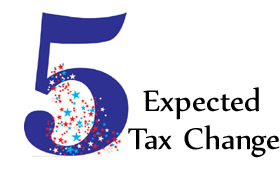 5 Tax change expectation from Modi Sarkar. Current Tax slab under income tax is 2 Lakhs. It is expected that new government will revise this slab to 3 Lakhs. Currently highest tax slab is on income more than 10 Lakhs (30%). It is expected that this limit to be revised to 15 lakhs. Current 80C limit of 1 Lakh is applied before several years and need revision. Government should increase this limit by 50,000 Rs/- Increase in this limit by government means indirectly helping people to save more money. As per current income tax rule Home loan principal payment is covered under 80C with limit of 1 Lakh and additionally 1.5 lakhs deduction is allowed as interest payment of Home loan. Government can make principal payment of 1 lakh out from 80C. Additional deduction of interest payment can be enhanced at least to 3 lakhs. This change will encourage people to buy their own house and will also boost real estate sector. UPA started RGESS but response is very weak because this scheme was for first time stock market investor. New government should think of giving some additional deduction benefit apart from 80C for stock market investments. This will encourage participation of retail investor in stock market and also bring conducive environment for investment. Education has become quite expensive today. Good employment demands good education. Under this situation clubbing education expense under 80C is not fair. Government should give special deduction for fees of higher education like engineering, medical or masters. Current medical reimbursement limit is Rs. 15,000 per year and conveyance expenses limit is Rs. 800 per month. Looking at current medical and conveyance expense it is expected that government will at least double this limit. New BJP government can also think of direct tax code route to simplify tax regime. Another important step this government need to take is to widen tax net. Today very small population of India pay tax. Government must take some steps so that people pay taxes ethically and comply with policies. If you are agree with my suggestion just provide your agreement by passing this post to everyone.